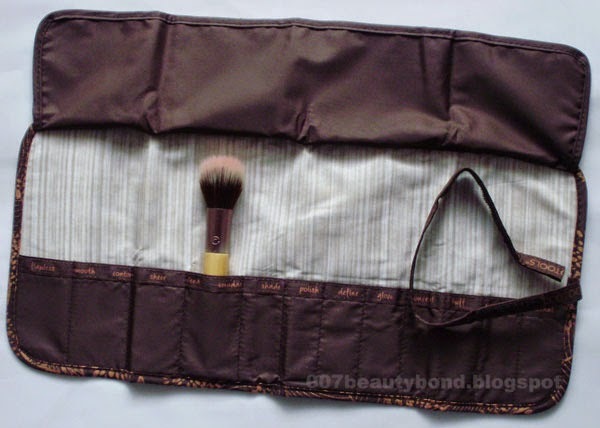 Materials: brush roll is made from RE-PET. 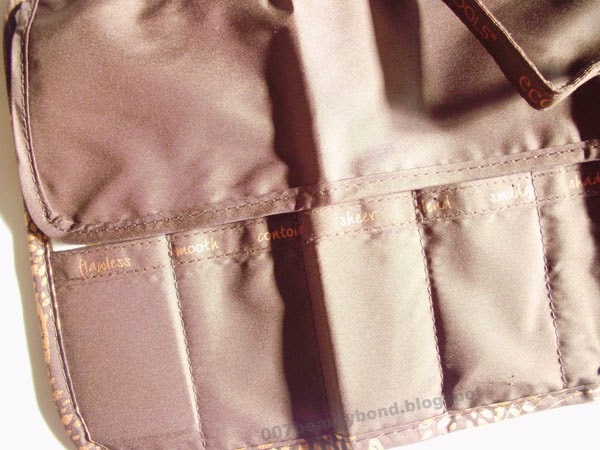 Features 12 protective spaces, in a variety of sizes, to store eye and face brushes. Materials: pouch is made from eco friendly EVA, the multitasking Face Brush is made with cruelty free bristles, bamboo handle and recycled aluminium ferrule. 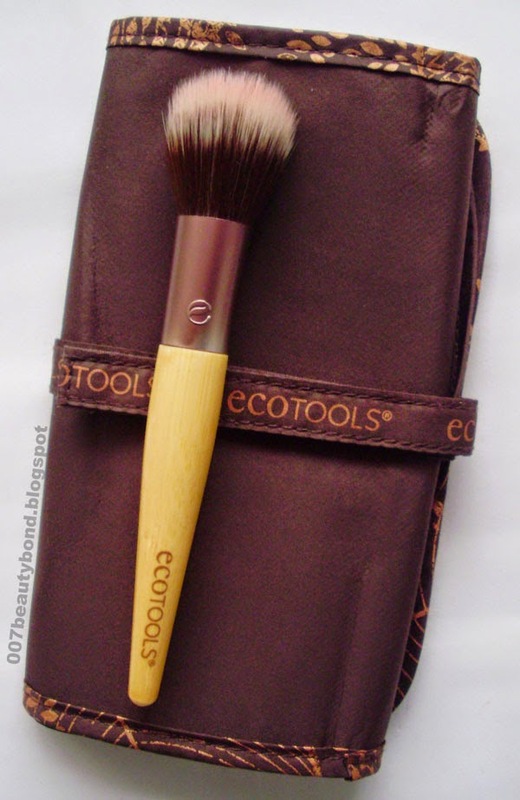 The EcoTools brush is designed to create light but easy to increase coverage of blushes, bronzers, highlighter or powders. 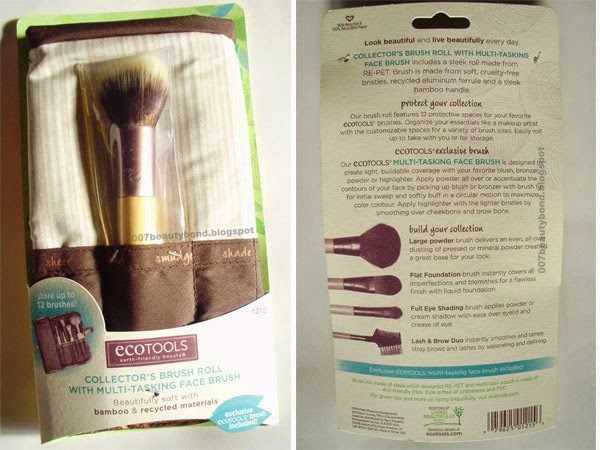 The EcoTools Collector's Brush Roll is made with a lightweight material but at the same time feels good quality/sturdy. I like the design of the brush roll (the pattern on the outer edges and the writings on each space, they add a nice touch to the product, these type of details make a difference to me). 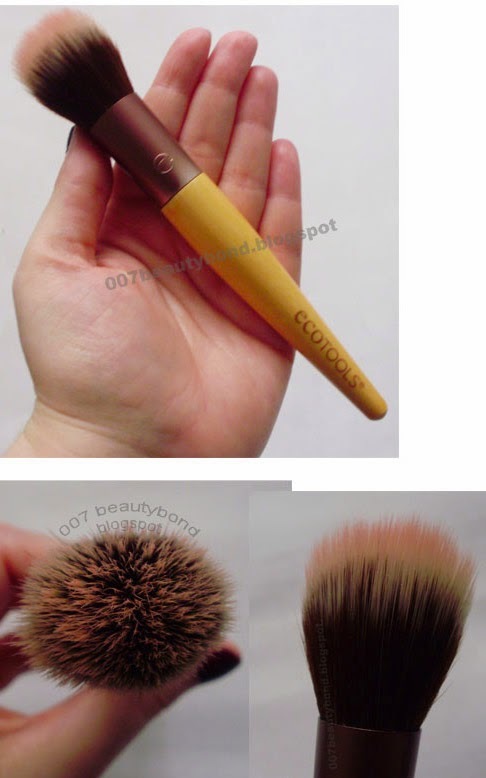 EcoTools Collector's Brush Roll and Multitasking Face Brush design details. I washed the brush once and I didn't notice any shedding. I've been using this brush to apply cream blush, I like to use it for that purpose. In my opinion the EcoTools Multitasking Face Brush is also great for applying powder highlighter or finishing powder. 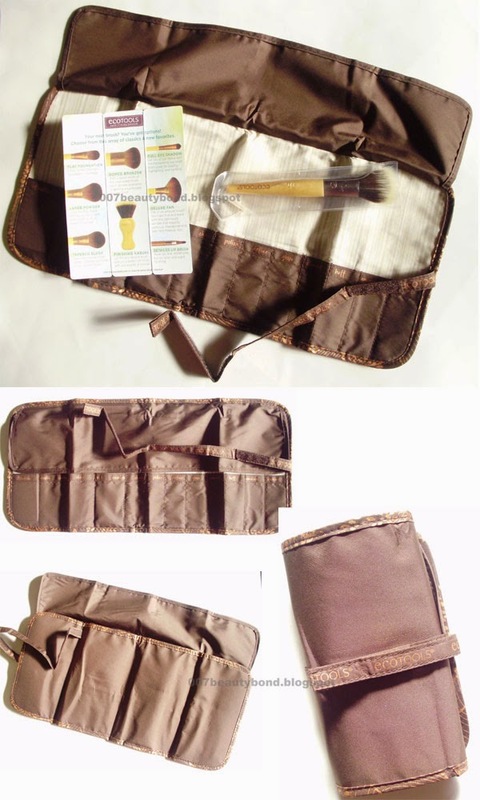 Overall: The EcoTools brand was missing a brush roll in their collection and finally they released a nicely designed brush roll (where you can store your individually purchased EcoTools brushes). The Multi-Tasking Face Brush is a nice bonus.